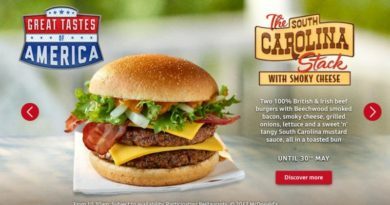 McDonald’s Brazil have launched five new versions of their flagship burger, the Big Mac. 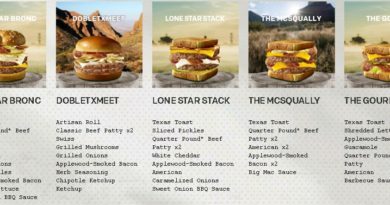 As reported by Huffpost Brasil (originally on 1st April so we weren’t quite sure…), the five gourmet variations of the Big Mac are now on the McDonald’s Brazil website and YouTube channel. Up first, the Big Four which contains four beef patties, pepperoni, smoked mayonnaise, crispy onions, cheese and lettuce. The Big Malt is a special bread with two beef patties, beer mustard, crispy onions, lettuce, emmental cheese and bacon. Big Beef & Chicken combines a beef patty with a chicken fillet patty, mayonnaise, caramelised onions, lettuce, tomato and cheese. Next is the Big Bourbon – two beef patties, whiskey-flavoured sauce, melted cheddar cheese, crispy onions, pickles and bacon. Finally, the Big Fire which has special bread, two beef patties, shredded pepper sauce, onion, lettuce, emmental cheese, tomato and bacon. Which of these would you like to see in the UK? Would you like to see a similar promotion in this country? 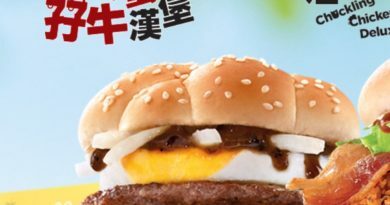 McDonald’s Brazil are not new to running interesting LTOs – see previous World Cup and Cheddar McRib promos. To celebrate the 50th anniversary of the Big Mac, we speculated that there could be some McDonald’s variants around the world like the Maharaja Mac. McDonald’s Brazil have uploaded a video for each of the five Big New burgers – below we have just included the one for the Big Fire as that sounds our favourite. How about you? Which is your favourite sounding burger? At least we get bacon on our Big Macs in the UK! You won’t see these burgers on any of The Sun’s (or any other tabloids) “best McDonald’s burgers around the world list”. 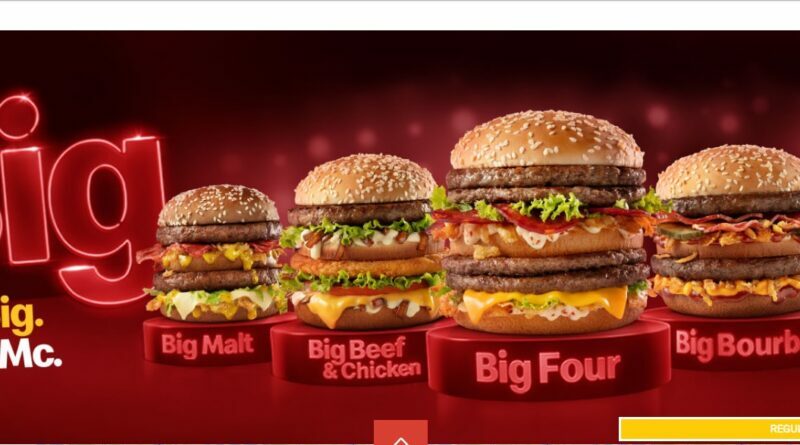 Gourmet Big Mac variations are available as part of the Big New promotion in Brazil – all flights lead to Rio de Janeiro!